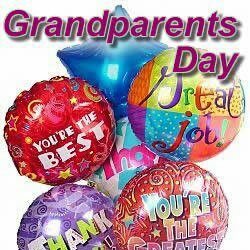 Grandparent’s Day – Only Hours Away! How many of us are aware that Sunday October 7 is National Grandparent’s Day? The holiday’s been going strong in the secularly-obsessed US since 1978 – but it wasn’t until 40 years later, in 2008, that Age Concern launched it as a day of celebration here too. The original impetus for Grandparent’s Day in the UK was all about remembering the elderly as winter began. And while that’s clearly a laudable aim in its own right, current focus for the day has shifted, to include a recognition of all the hard parenting work done by grandparents. 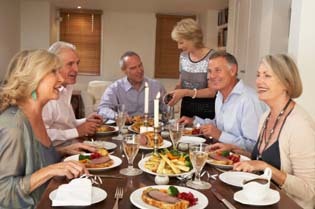 In a clear example of serendipity, the first UK Grandparent’s Day marked the beginning of the long slide into recession. 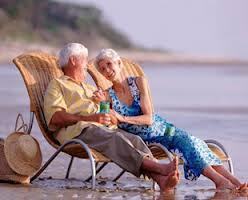 It is that recession that has had the most marked effect on the role of grandparenting in the UK. As families struggle to maintain the income required to keep bread on the table through inflated living costs, decreased earnings and astronomical child care prices, grandparents all over the UK have stepped in to the rescue. The US reflects this rise in grandparent childcare, with an estimated one third of children under five (with a working mother) being regularly cared for by a grandparent. It seems that the granny and granddad role of our own childhood years is being supplanted on both sides of the Atlantic, as family units pull together to weather the storm. So this Sunday is all about you – and don’t let your grandchildren forget it! You spend the rest of the year spoiling and/or looking after the youngsters; so this Sunday you can expect to be taken out for a nice lunch, or brought a card and a bunch of flowers. If your own family unit doesn’t know about it yet – now’s the time to start dropping some pretty heavy hints! When you look at the statistics, it’s a wonder Grandparent’s Day hasn’t taken off with more vigour. Perhaps it’s the self-effacing nature of the grandparent that takes its toll here. After all, we’ve been the unsung heroes of our own children’s lives since practically before they were born – giving advice, providing free childcare and generally mucking in. Mother’s Day and Father’s Day have been staple parts of the card and gift-giving calendars since time immemorial. In the UK, it is thought that Mothering Sunday began with a 16th century tradition of reuniting mothers with their children on the fourth Sunday of Lent, when masters let their apprentices go home for a holiday. The additional Father’s Day, which normally falls in June, was added after Mothering Sunday had been transformed from a semi-religious festival into a secular one. In both cases the initial impetus for creating the “holiday” is credited to American children at the turn of last century (19th to 20th). Sonora Dodd, devoted daughter of single parent and Civil War veteran William Jackson Smart, after hearing a sermon on the subject of Mothering Sunday, persuaded her local pastor to instigate a holiday honouring fathers. Now the same logic is applied to grandparents, the question is: what’s your ideal Grandparent’s Day gift? A lunch treat? Or a bunch of flowers? It is, of course, the thought that counts: so whatever the children do, even if it’s just to call and say “thank you”, it’ll be nice to be appreciated for a day. Footnote. I have so enjoyed reading an article today, about poems by young children in the Eastern Daily Press. Take some time to read some of the winning poems. Perhaps you have a talented grandchild or a young poet in the family who could write a poem about grandparents? Let us know!